This entry was posted on Friday, January 20th, 2012 at 3:47 pm and is filed under Uncategorized. You can follow any responses to this entry through the RSS 2.0 feed, You can leave a response, or trackback from your own site. *** Just a note to say that I did see this neighbour in a store later that day. I thanked him of course. 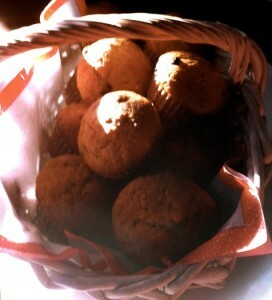 To my surprise, it was just as nice a feeling to do that as it was to leave some muffins on his doorstep. What a great idea! Sometimes a small gesture can completly make someone’s day.